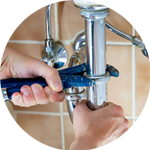 Do you require a plumber in Walworth? 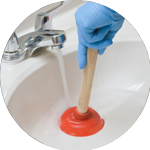 Then our qualified professional plumbing team has got Walworth’s area covered. You can see us all around London in our signature yellow scooters and vans ready to give a helping hand to anyone in need of our services. 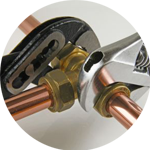 We’ve been resolving plumbing issues since 2005, so you can be rest assured that you’ll be in safe hands. From installing white good appliances to unblocking a toilet, we will be able to help you in a timely and cost effective manner. 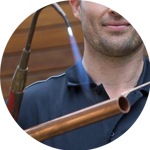 Why not give your local Walworth plumber a call? Located in south London, Walworth boasts a wide variety of architecture such as 20th century buildings as well as Victorian houses and yards. It is home to a zoo, located within the Royal Surrey Gardens, which has been visited by Queen Victoria.The area also plays host to beautiful open green spaces, including Michael Faraday Park, Salisbury Row Park and Victory Park. Many famous artists have lived in Walworth, such as Sir Charlie Chaplin and Sir Michael Caine. The Handy Squad covers the whole of Walworth, as well as its neighbourhood areas, such as Charing Cross, Camberwell and Elephant and Castle. No matter where you are, our London plumbing team will be right at your doorstep to give you a helping hand. Our team specialises in unblocking showers, installing new taps, repairing radiators, replacing toilets and much more. If you are looking for other handyman services, our Handyman London team offers office maintenance and repairs, locksmith services, jet washing and much more.